It was one of my keen readers that asked “when are you going to do a post on table settings for Christmas?” So I thought, that’s a great idea, and so here we are. I decided to do two settings, one indoor for those of you that live in the colder parts of the world at Christmas time and one outdoors for the likes of myself that experience Christmas in summer and normally celebrate with a BBQ. I also wanted to challenge myself and only use what I had around the house to help give you ideas without having to actually buy much at all. Like we know Christmas is a very expensive time of year anyway. The table settings will be a simple affair as I’m not one for lots a jazz and simple is often a lot cheaper. This blog will be a bit different from my usual approach as I have decided to do mainly photos and explain what I have used for each of the settings. I hope you enjoy and get some great inspiration to help planning your awesome Christmas table setting. As I stated above I am keeping these settings simple and low cost and in fact have just shopped my home for all the items I have used. So I challenge you to do the same, it’s amazing what you can find to use rather than find the need to buy yet more stuff. First up I raided my Christmas decoration stash and decided on the using the Christmas garland as the main centrepiece and use some decoration accessories to add to it. I also had Christmas crackers that are obviously an important part of the Christmas table setting. Next up was working out the plate setting and the cutlery. The plates are part of of our everyday plates, well to be honest we only have everyday plates now….I am long past keeping something for best or special occasions, I mean it’s everyday a special occasion!!!. Some time ago we got the big light blue plates from the local Harbour Hospice shop which we got for $20 for the set. They were basically new and from Citta (check out the price per plate!). I did however buy the smaller plates new, from Tony Sly, Raglan Wharf…like OMG I love his stuff and treated myself, like don’t you blame me. Which brings me onto my cutlery set. In our home we have some very special family pieces and one is the writing bureau from my beautiful Nana Anne . She also gave Pete and I a stunning silver service cutlery set for our wedding present. We keep these pieces together. 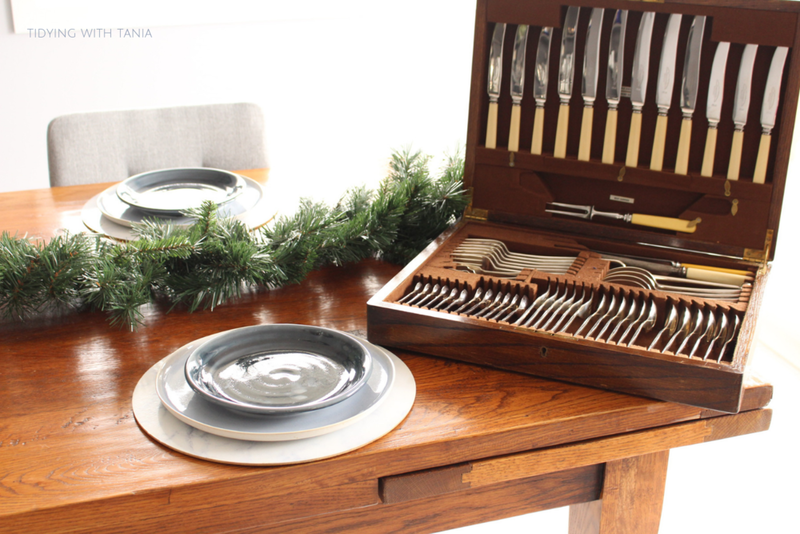 The cutlery set is certainly something that I would like to use more often, however the pieces have to be hand washed and placed back into the box so it’s a bit of a mission. So I’m sad to say in this case they only come out on special occasions…..and of course Christmas is one of those. I do love fussing around and getting them out and using them. 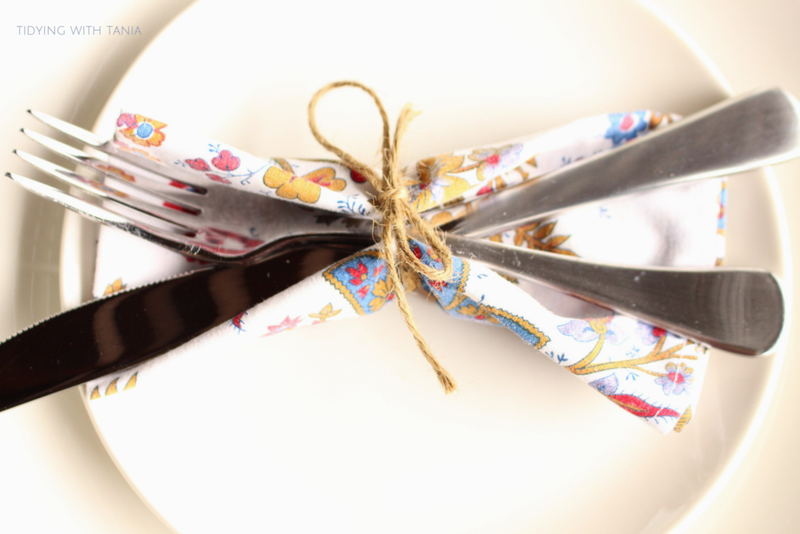 So if you have always wanted to know how to set a formal table setting well wonder no more. Above is a simple setting, essentially formal. The secret to these setting is the order of the cutlery lines up to the order of the plates and therefore the courses. You just start from the cutlery on the outside and work inwards and the dessert cutlery is a top the plates. There is a very good post at Real Simple.com with all the details on how to set a table. It’s handy to know this, especially when you are at that fancy restaurant and you have to figure out which fork to use! I always just remember….”outside in” . With the place settings I folded up the cloth napkin, again these are ones we use everyday, and placed them under the top plate. It just adds a bit of interest and formality to the setting and is a nice simple design. You will notice that I have done place names, I did this just to show how you could do this if you need to. This is actually helpful if you have a number of people coming. All I did some use some paper envelopes that I had and simply wrote the names on them and placed the flower on the top. Again it was a easy to do and gave a nice aesthetic. For the centre piece I used the Christmas garland. I didn’t want to clutter up the garland too much however did need to embellish it it a bit. I took a jute ribbon and wrapped it round losly around the length of it then run a small string of battery run copper lights along the top. In the middle of the table I placed three large church candles and at each end placed decorative silver reindeer. All these items I had in my Christmas decoration stash so I did not need to buy anything more. Challenge # 1 done for the insider Christmas table setting now for the outside one. The intent of the outdoor setting is for a very casual, more BBQ style with a touch of Christmas. Again challenge was to shop the home and keep it simple. To add a Christmas theme to the centre piece I just laid out a length of jute ribbon (wide) and used that like a table runner. I placed the centre piece on top. All I did here was take the existing outdoors tray and place the decorative candles and holy onto the tray. 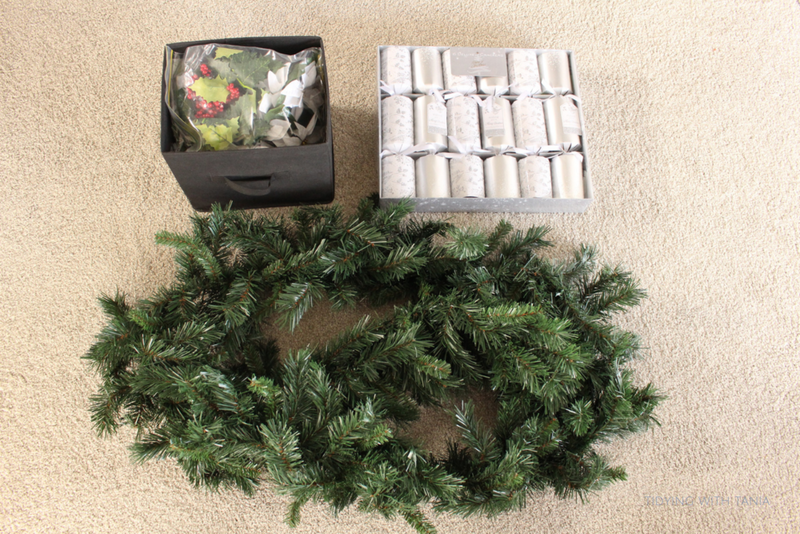 You will see in my previous Christmas decoration posts how I have done this before. The old outdoor fridge is essential for the perfect outdoor Christmas dinning, and you don’t need some flash outdoor mini fridge. We just use this tin container (another hospice find) and fill it up with ice and it keeps the beves nice and cold. 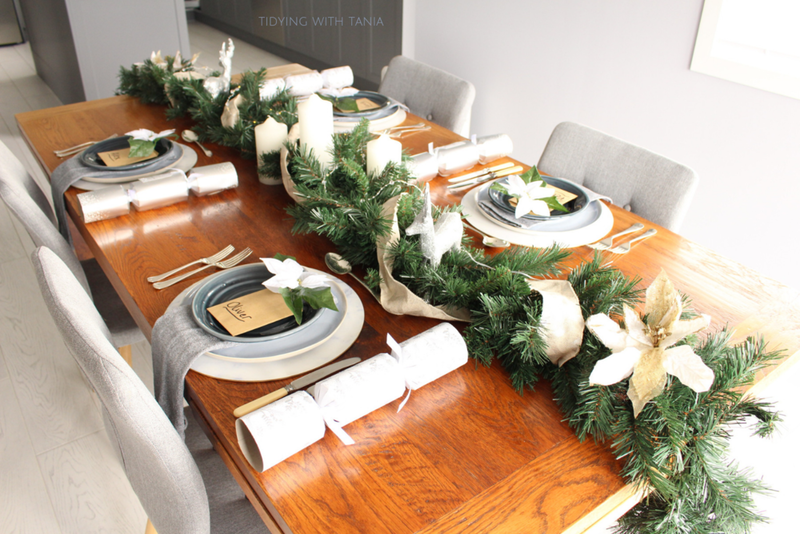 That’s it folks , my inside and outside Christmas table settings , hope you got some inspiration for your Christmas day…..remember to check around your home to see what you have to make a great table scape. For more inspiration follow me on Pinterest as I have Christmas board set up where you can see even more ideas.